School of Manufacturing science and Engineering, Sichuan University, Chengdu Sichuan Province first ring road, No. 24, 610065, China. 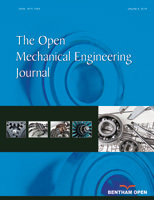 To reduce cutting time and costs, an optimized model of cutting parameter is proposed. Constraints like lathe and cutting tool are fully considered. The objective function is aiming at the target of profit margins. Some empirical indexes are used in the constraints and the objective function since the special properties of cutting process. The Fuzzy Comprehensive Evaluation Method is used to build an evaluation model, which provides an evolutionary path for cutting parameter. The evaluation matrix R in the model is determined by operators who use the cutting parameter to cut. A cutting parameter database system of B/S structure was developed by JAVA language based on the optimization model and helped a company improved profit margins successfully.